Every leader and decision maker in the world believes they are acting independently of all Divine purpose. Yet, what we are told in the Bible is that no one and no nation is completely independent, they are under the control of Divinity and those which collectively choose an evil path are directed by (Satan) the god of this world, sometimes referred to as the ruler of the cosmos. Trying to convince them that they are controlled is a futility. It is part of the gospel as is the warnings of prophecy. There’s little mystery to the fact that the world is becoming so openly hostile to the gospel and anything at all to do with the name of the Lord Jesus Christ. It goes with the territory, the prophetic warnings and the rise of the well prophesied last and worst dictator of the world known as the Antichrist. The hostility is also a facet of prophecy. The bible clearly warns that shortly before Antichrist is revealed that strong spiritual influences will pave the way for his rise. (1Jn 2: 18) The spirit of Antichrist is working and preparing the hearts of men to fully receive him. Many will reject Christ as they did from the beginning, but millions more will be willing to sign on the dotted line just prior to Antichrist’s full appearance. Jesus confirmed it in John’s gospel. He will pop up on the scene rather suddenly as an amazing economist and political military genius unlike like the world has ever seen. He will be pleasant to look at and provide an air of confidence that those who are driven only by pop-culture’s fleeting standards will be quite satisfied with – regardless of what he proposes. He will be Obama on steroids or a sort of turbocharged Hitler. Man’s glowing advances in technology are today’s Trojan horse. It is a fat steed formed of space age plastic and pregnant with futuristic warriors of distraction and detail, promising everything, but delivering practically nothing. We have become dilettante digital doting dodos distracted by the bells and whistles of a thousand apps and visually stunning, but totally virtual apparitions. It is all electronic LSD from the TV to the handhelds. Already tainted with human pride, political correctness, politicization and if you will – stupidity created by the greatest intelligence we can muster. The icons are newly inaugurated heroes of the last centuries, entrepreneurs, tech wizards and silicon silly sots, stupefied by the culture’s prophets of science and their promises. People like Steve Jobs and Bill Gates are the headliners in the greatest dog and pony show since Barnum and Bailey. Tech’s earliest pioneers were men like Darwin, who after noticing that Galapagos finches had different kinds of beaks, helped the world to leap to the conclusion that everything came from nothing. The hype quickly became hip and modern minds now refuse to examine creation science with its new proofs. Calls for evolutionists to deal with the myriads of un-answered questions go unheeded. It’s the old, ‘don’t confuse me with the facts’ that powers the engine of deleteriousness among the sycophants. If missing links were the means by which we calculated how smart we are – honest people would be forced to admit that this is the dumbest generation in history, in spite of technology. We have satellites that can see a number plate from the outer edges of the atmosphere, but people fastened safe to the ground cannot see how to make peace on earth. We have pop-culture trends pushing for acceptance of the gay lifestyle at the same time they are ignoring the fact that STD’s are the highest in the world among homosexuals. We have science softening the cruelty and inhuman practice of murdering what we all know are babies, by calling them – fetuses. Bad and false science, along with notably non-empirical guesswork, creates friction when it meets with truth. No problem, we reduce or eliminate the friction with fiction. We think we are going to flit about among the stars even though the unfathomable distances between stars says we are not. Science fiction comes to the aid of the prisoners of the earth (La 3: 33-34) with the magic of warp drives, worm holes and by stretching and contorting what little we know about quantum physics. We all want our children to be the next Einstein and we continue to laud the wonders produced by his masterpiece known as – relativity, but we are quiet about the fact that this man also unleashed the means by which to create the most devastating, world busting weapon men have ever known. Finally, we have adopted the lazy man’s philosophy of uniformitarianism. We have proclaimed that technology will assure us of continued advances that will produce only the good – for perpetuity. It is the tech promise of heaven on earth which refuses the prophetic surety of an event called – Armageddon. Tech is a false prophet leading men to a dead end. In fact, they will arrive at a dead end, but it is the promise of prophecy which addresses both the future and man’s sinfulness, not tech. Prophecy about their world and its future, will one day be recognized for being – the truth that got them to the dead end. If burgeoning government is becoming the strong arm of oppression and science is the voice of ‘progress’ it goes without saying that almost all media is the very face of evil – in your face. People of God are not anti-science. They know that science is the means by which God has allowed us to peer into the wonders of his creation. But when it is exalted to the high place where it is allowed to figuratively give God his walking papers it has been raised to the place of an idol – that is far too high and that too is addressed in the bible. As technology rises and morality crashes, what will we see in the near future – that is just the point. Here is what the bible says we will see. Megalomaniacs, dictators and despots all seem to share narcissism in common, Antichrist is no exception. In fact, he will be the greatest narcissist the world will ever know. Whether it’s a TV image or a holographic image that is televised matters little, he will make sure everyone in the world sees him on a regular basis – or else! Rapper Tupac used holograms as did India’s Narendra Modi, but perhaps the most spectacular use of the holograph was accomplished by Turkey’s Prime Minister Recep Tayyip Erdogan in January of 2014. When the previously cited bible verses were penned, the means to produce such images was unimaginable. Television was commercialized a mere 66 years ago, but Antichrist will make good use of it in our selfie snapping generation that is always parked in front of a TV or carrying a pocketful of video power in their handhelds and tablets. When he demands worship somehow he will know when people refuse to obey him and they will be eliminated. How will he know – that’s easy. Today hackers not only get into the workings of our computers, but they can actually turn on the video cams and watch. All TVs and handhelds will soon have the capacity to see every time they are used. Not possible you say? Don’t count on it. The tech is already here, the social push for full acceptance, or the government intrusion to force it, is not far behind. 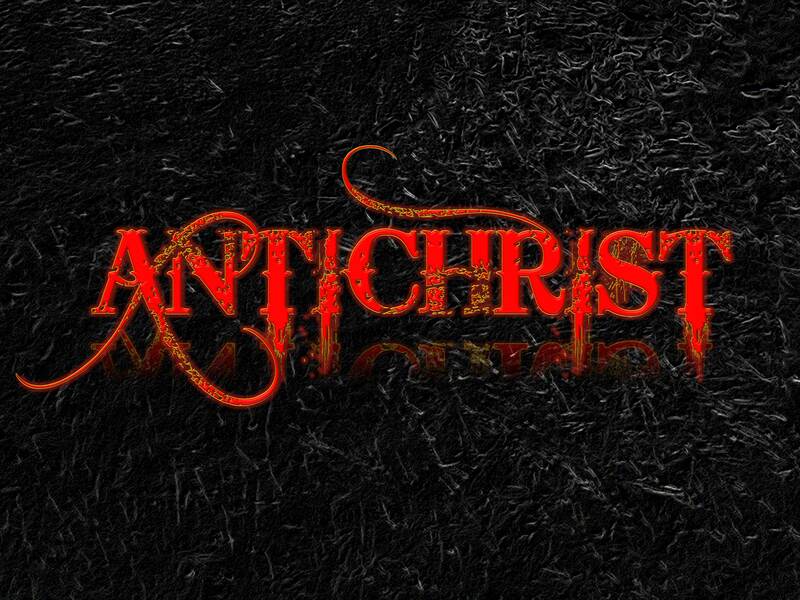 Antichrist will be seen the world over and if you are still here when that is happening, you will be in the most danger you have ever been in for your entire life. It must be noted that the tech used to promote Antichrist, will be momentarily turned against him during the height of his apparent victory over Christ, and those who believe in him. The entire eleventh chapter of Revelation tells of two witnesses, prophets of the Lord, who after prophesying for three and a half years are killed by Antichrist or his minions. Those who scoff at Christ’s resurrection will have one more chance to see a double resurrection as the two prophets are resurrected on public TV and seen by everyone in the entire world. Neither Antichrist, nor those using the latest tech to show the world the dead bodies of the two prophets will see this coming. The effect will be that thousands, perhaps millions, around the world will begin to see that Antichrist is a fraud and must be resisted at all costs. Technology will cease, and after Christ’s return, the need for it as we know it today, will meet with instant obsolescence. It takes no technology to circumvent the dangers that lie ahead; all it takes is a change of heart. The average distance between a man’s mouth and his heart is said to be approximately eighteen inches. It is this short distance that must be negotiated to discover the connection to the Living God that every man on earth can make – if they choose. Christ said to look up Luke 21:28. Everyone I see is staring down at an electronic devise. Antichrist will utilize all these devices to deceive the majority into thinking he is Christ. Could the secret chambers be the internet? Christ said when they say He is in them do not go. Just my thoughts,for a long time.